Firstly, THANK YOU everyone SO VERY MUCH for all the well wishes. They worked! I am feeling tons better this weekend…still taking it easy, but starting to eat more than soup and smoothies, and just overall feeling like an almost-normal version of myself. Secondly, the new camera came while I was in hospital and I played with it a bit yesterday. Hello learning curve! Whoooooooo…but, when I get my SLR legs back, I know I’m going to love this thing. Romping animals. 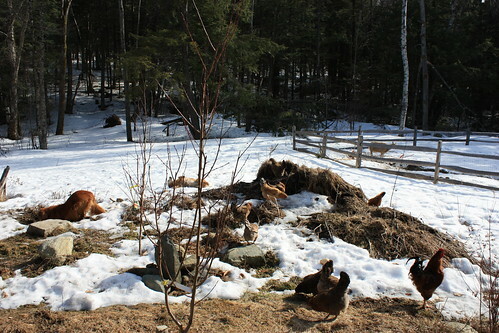 Notice there is one dog digging, another rolling about and chickens just plain chickening all over the place, pecking at dirt! and dead vegetation! (read: stuff that ISN’T COVERED IN SNOW). Me: Will he talk to me? C: I don’t know…let me check…(to little guy) Do you want to talk to Mama? (can be heard in background: Where is she?) She’s still at the doctor’s…want to talk to her? (little guy: No.) He doesn’t want to talk on the phone. (little guy to C: Are there toys at the hospital?) I don’t know…Shannon, are there toys at the hospital? Me: Why don’t you have him ask me? LG: (reluctantly) OK. (a pause) Mama, are there toys at the hospital? But he was very glad to see me when I got home. Really. 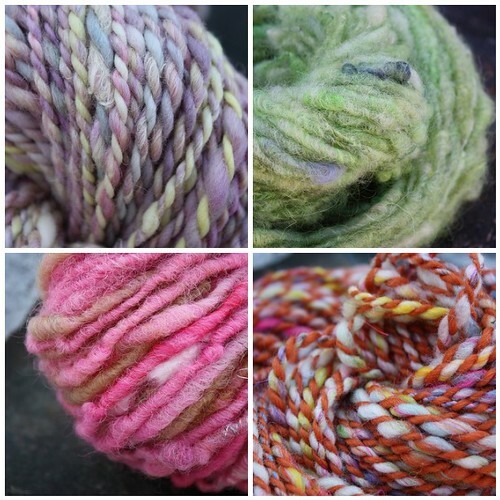 This entry was posted in Uncategorized and tagged handspun, home, spring-y by thespunmonkey. Bookmark the permalink.